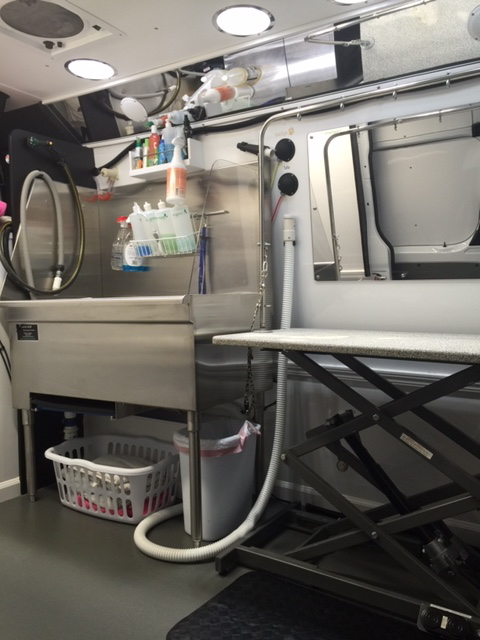 Let us bring our professional dog grooming services right to your front door! 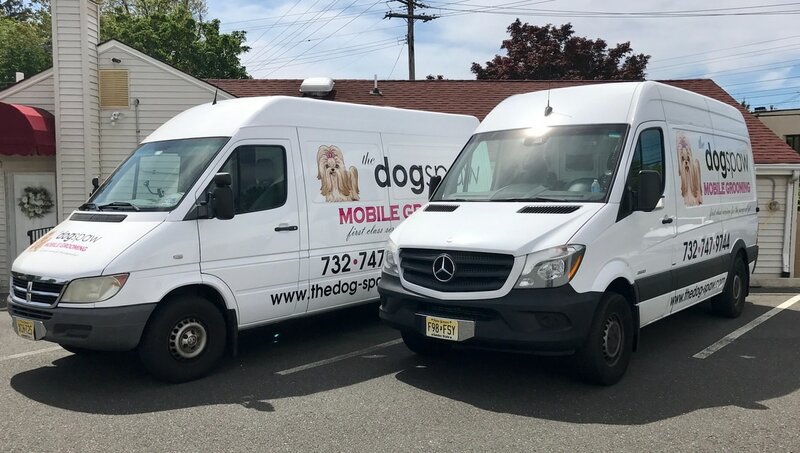 Serving all of Monmouth County New Jersey, our state-of-the-art custom mobile grooming vans provide the ultimate, luxury service in dog grooming. 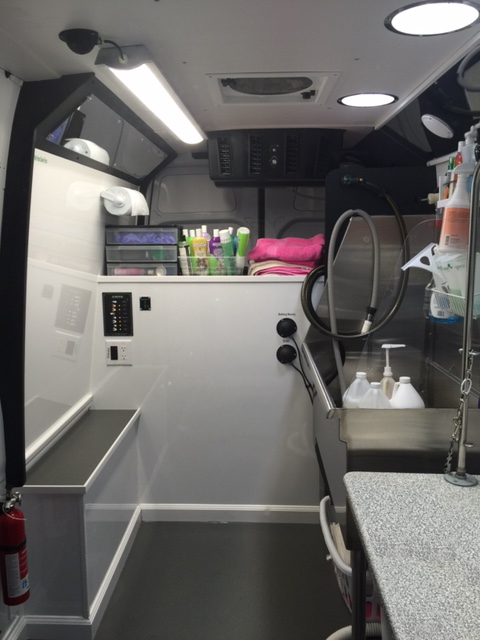 Our vans are self contained and equipped with everything our professional and friendly pet groomers need to make your pup look and feel fabulous. This means no hooking up to your home for electric or warm water or best yet, no loud generators running in your driveway for us to obtain power. Most importantly, our mobile dog grooming services will give you the utmost convenience and your pampered pooch the personalized, first class services it deserves. 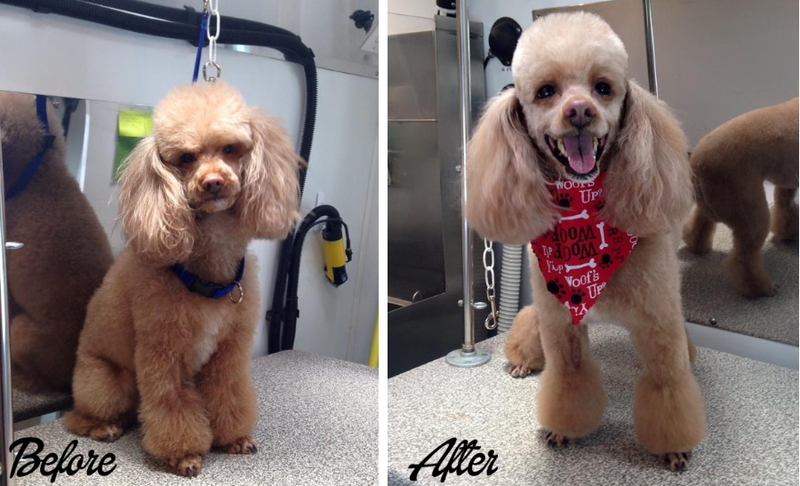 Mobile dog grooming gift certificates are available in any denomination. This is perfect gift for a friend or family member who would enjoy the convenience and luxury service for their pampered pet. Simply stop by our Little Silver store to purchase!